FALSE LASHES again, yeah ＼( ｀.∀´)／! How I can't live without a false lashes, LOL. This pretty false lashes was sponsored by kkcenterhk, they always have a GREAT false lashes to try. And if you see this design, it almost look like Eyemazing no.1, spiky and long with cross feather between it. A really pretty and dramatic false lashes! Nicely design and nicely craft for a quick use. 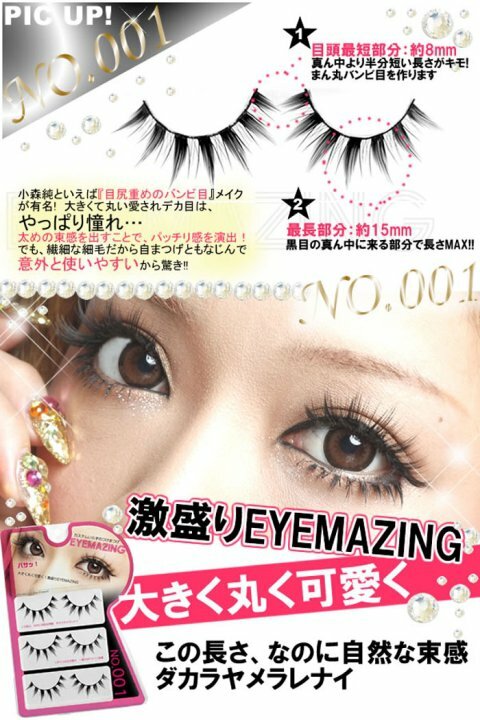 I wish the band is more thinner, but I don't really mind, because this false lashes is easy to bend and form to my eyes. It makes a really beautiful effect on my eyes, I really love it. I might sound a little like (sales girl) LMAO, but seriously, you can see by your self on my EOTD and FOTD below. I wore a pink eyeshadow that time, my sister said she love my eyes that day. But, I think I apply the false lashes is to close to the inner corner of my eye -.-. And this is the FOTD. waaaaaaaaaaaaaaw! they suits you very well and the lenses look amaizing on you >__< you are so cuteeeeeeee! Padahal eyelash itu tools yg palinnnngggg aku jarang pake ;_; ga bs pke fake eyelash soalnya..
dulu pernah pake, cuman yah gitu awal2 doank, lagian suka lupa pakenya --"
WOW! I love it!!! soooooo gorgeous!! !